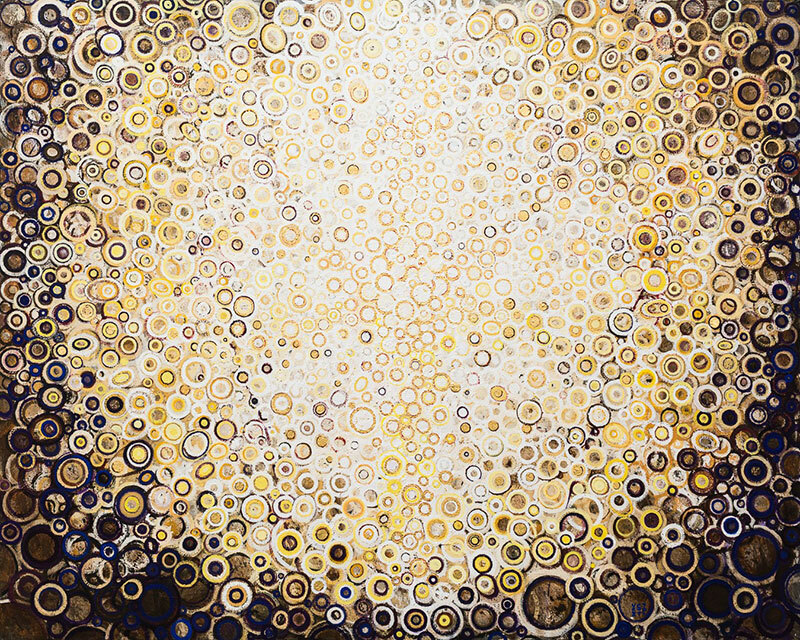 Abstract paintings exploring light by artist Randall Stoltzfus. 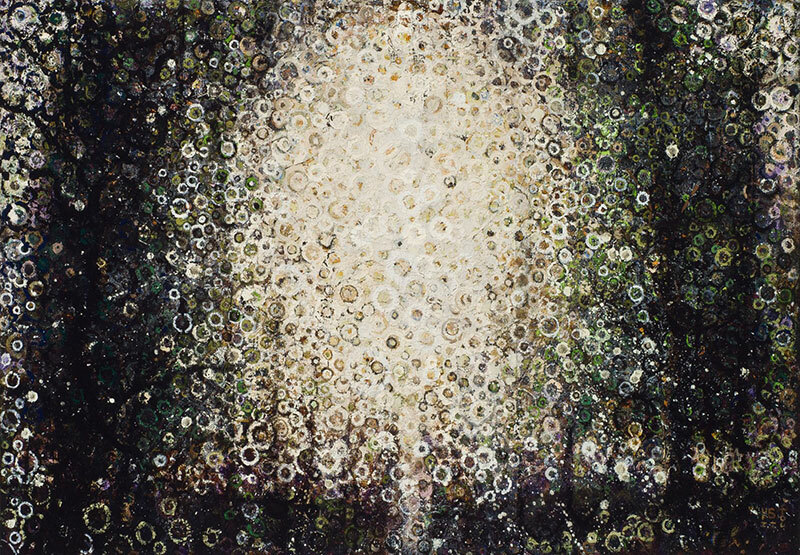 He deals with the idea in ways that use both the painted illusion of light within the painting as well as the physical effect of light on the work. 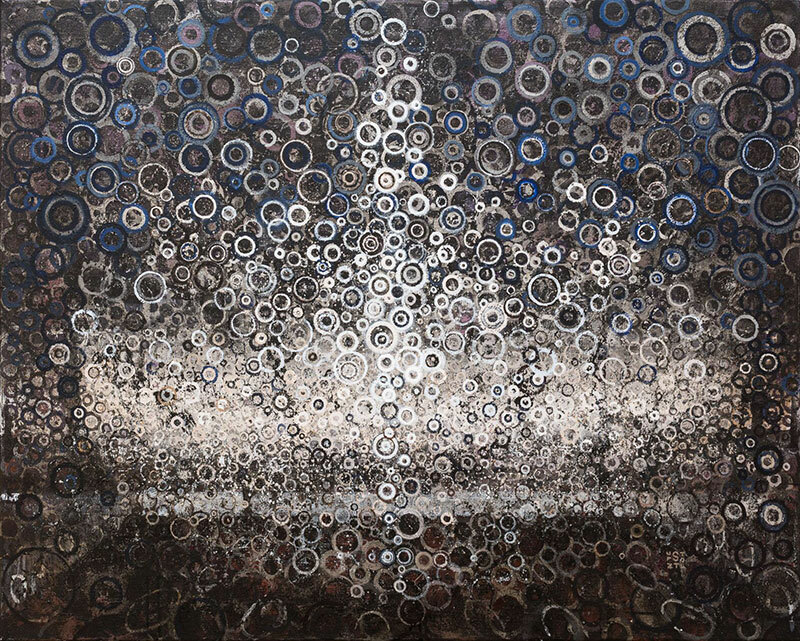 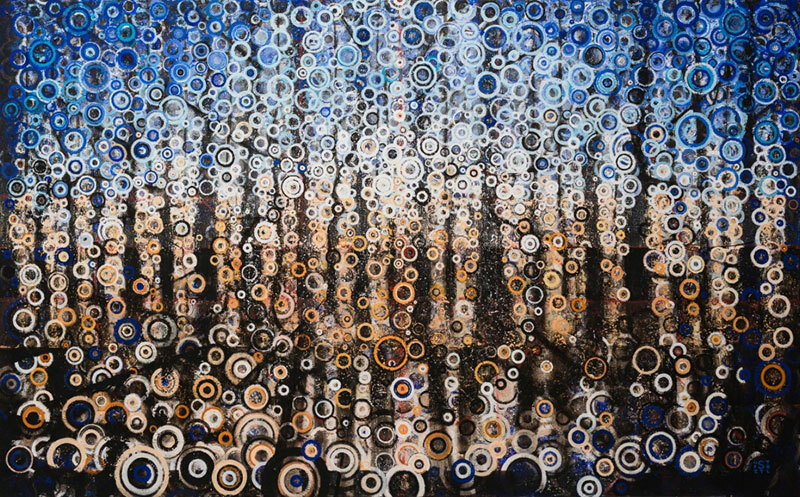 His process involves layering small, hand-painted circles in oil and adding carefully selected pigments such as gold leaf and other media to produce subtle forms that seem otherworldly. 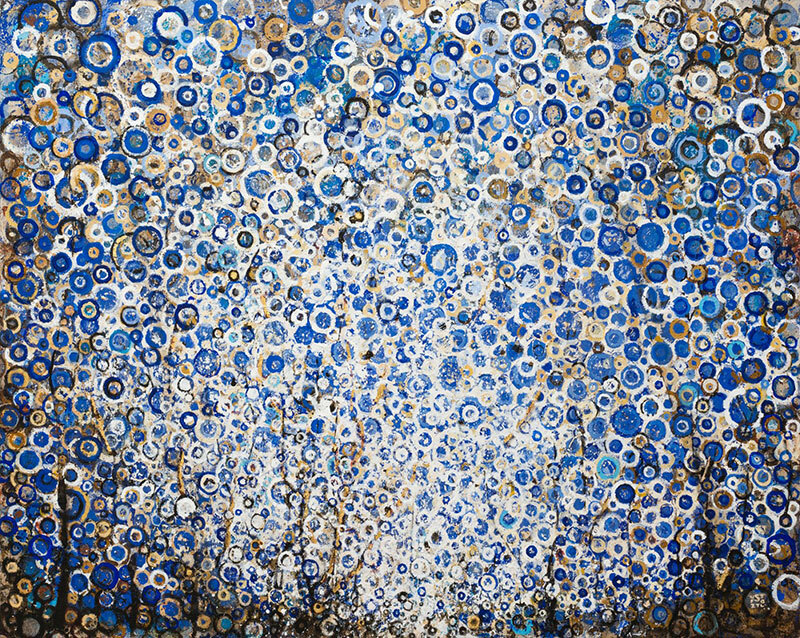 Stoltzfus often references biblical allegories, an influence of his Mennonite upbringing, comparing his methodical technique to the layering of scrim. 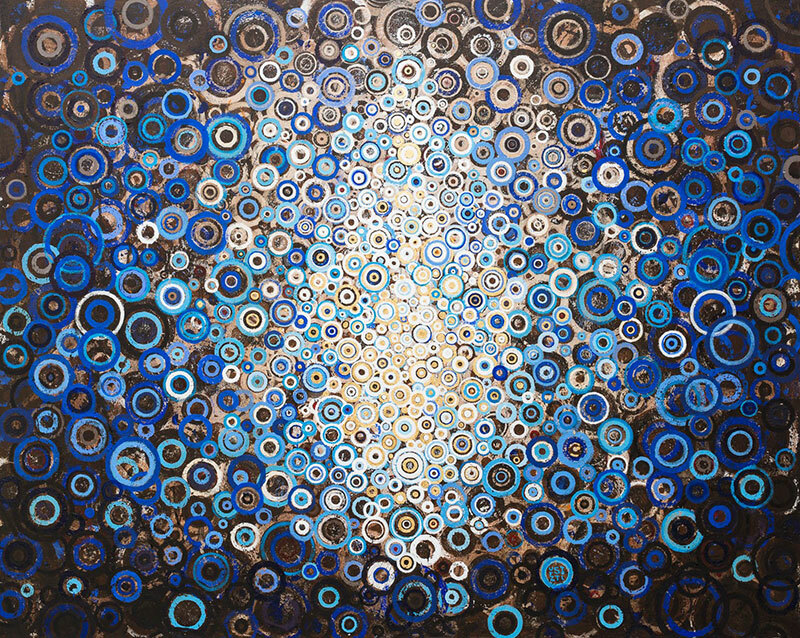 The resulting rhythmic, optical effect beckons viewers to contemplate on the paintings and form their own narrative. 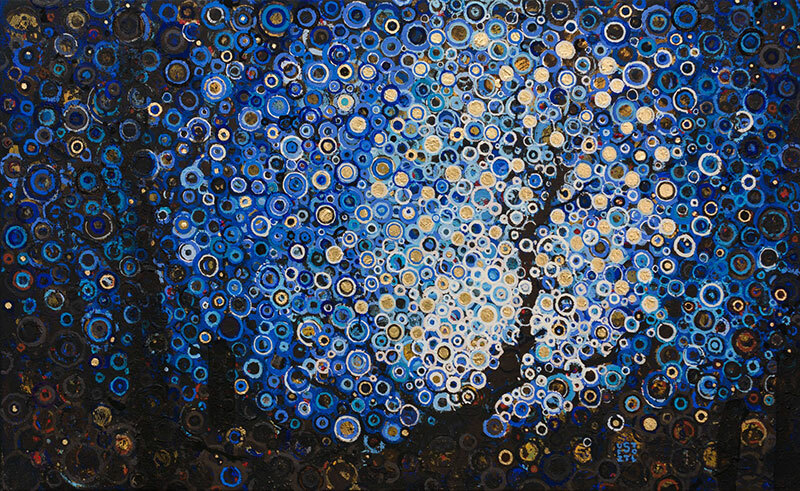 On view at Blank Space through June 10. 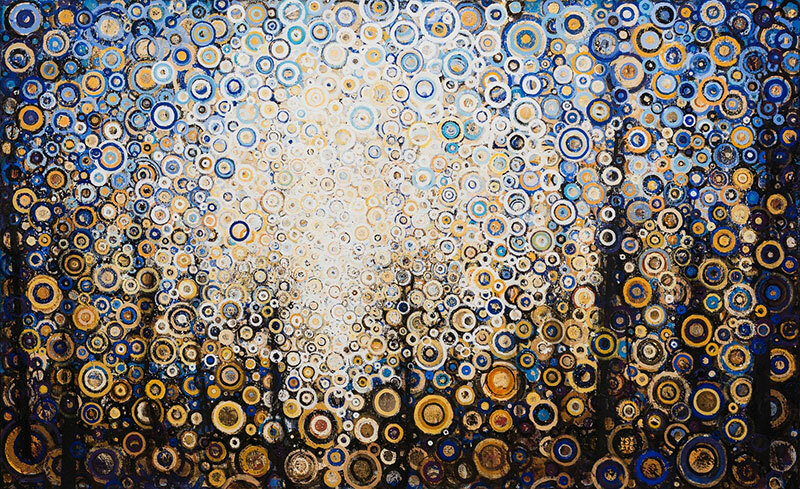 Abstract paintings exploring light by artist Randall Stoltzfus.